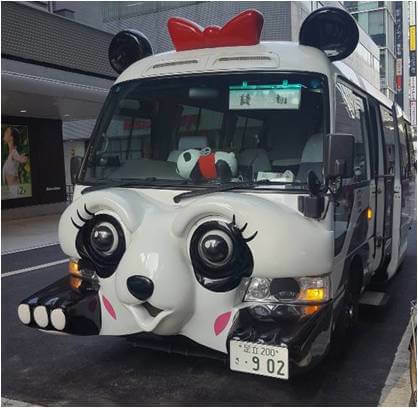 In accordance with Ueno Museum Week which is running from May 5 to May 20, the new Panda Bus is being introduced at Ueno no Renkai, Ueno Marui and Matsuzakaya Ueno and can be ridden for free. Since the birth of Xiang Xiang, the giant panda living at Ueno Zoo, there has been panda fever in Ueno. 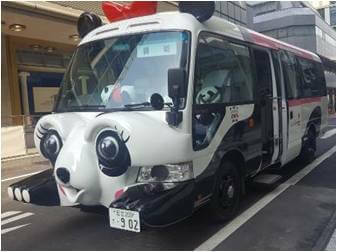 Keeping with the excitement, the new panda bus will now ride around the town. 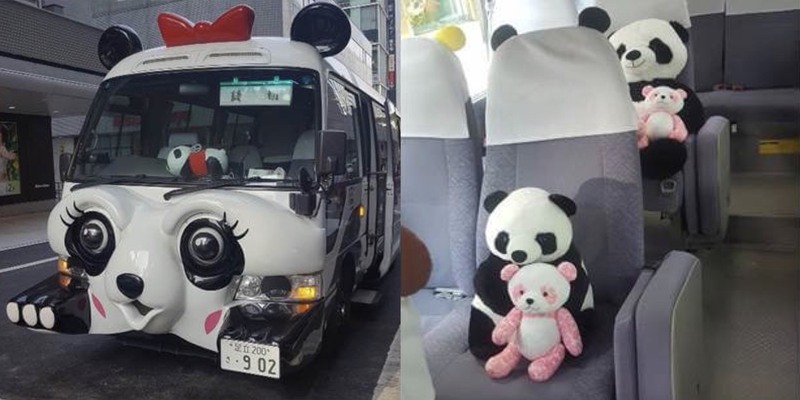 Sitting inside the bus will be plushies of Daimaru and Matsuzakaya’s original character Sakura Panda along with black and white panda plushies. 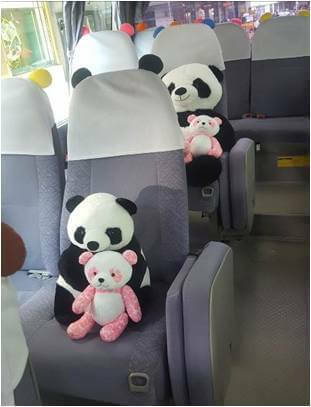 The seat covers also have panda ears on them. If you’re a panda lover then be sure to look out for the Panda Bus and climb aboard! *Depending on unpredictable circumstances the bus may arrive late. *The bus seats 23 passengers, so there may be a chance you cannot board.